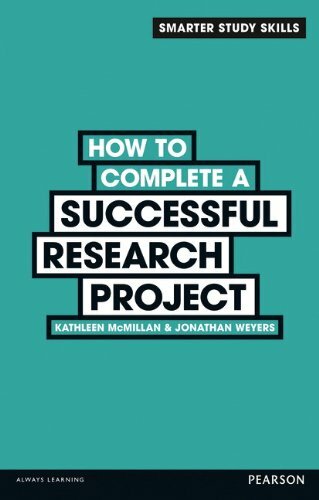 A practical, step-by-step guide to planning, researching and writing a research project for undergraduate students approaching a research project for the first time. Undertaking a large-scale, original research project can be extremely daunting and challenging to any student. Using the tried-and-tested Smarter Student series approach, style and pedagogy to deliver timely, practical, hands-on guidance based on real-life experience from students and lecturers alike, this book will be an invaluable tutorial and reference for any student approaching an undergraduate or masters research project for the first time. An essential guide to academic success! Undertaking a large-scale, original research project can be extremely daunting and challenging to any student. This book delivers timely, practical, hands-on guidance based on real-life experience from students and lecturers alike. It will be an invaluable tutorial and reference for any student approaching an undergraduate or masters research project for the first time.